The XC90 was Volvo's No. 3 seller globally after 6 months with a volume of 43,911. Volvo's global sales rose 11 percent in June as demand for the automaker's XC90 SUV helped boost deliveries in the key U.S. and China markets. Sales increased to a monthly total of 51,431 cars, Volvo said in a statement today. This helped six-month deliveries rise 11 percent to 256,563. Sales at the automaker have now risen for 13 consecutive months. Volvo reported strong growth in all of its major markets. In the U.S. its deliveries increased by 44 percent, while volume in China was up 6.1 percent, driven by growing demand for the XC90 as well as the locally produced XC60 SUV and S60L sedan. Volume in Western Europe grew 5.8 percent, while at home in Sweden, deliveries rose 14 percent. The automaker, owned by China's Zhejiang Geely Holding, has undergone a major transformation since it was sold by Ford to Geely in 2010. 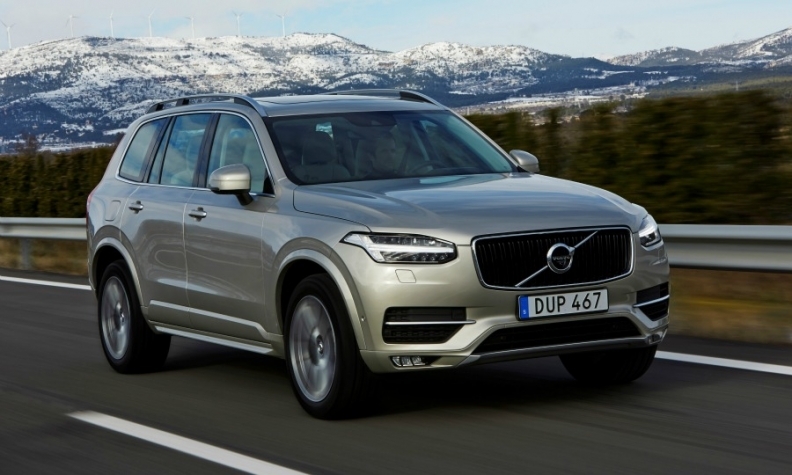 Heavy investment and the release of its first post-Ford vehicle, the XC90, have helped the Swedish automaker transform itself, and the company is now on course to have its third straight year of record-breaking global sales. The company has said it aims to boost global sales to 800,000 by around 2020. Volvo sold a record 503,127 cars worldwide in 2015.